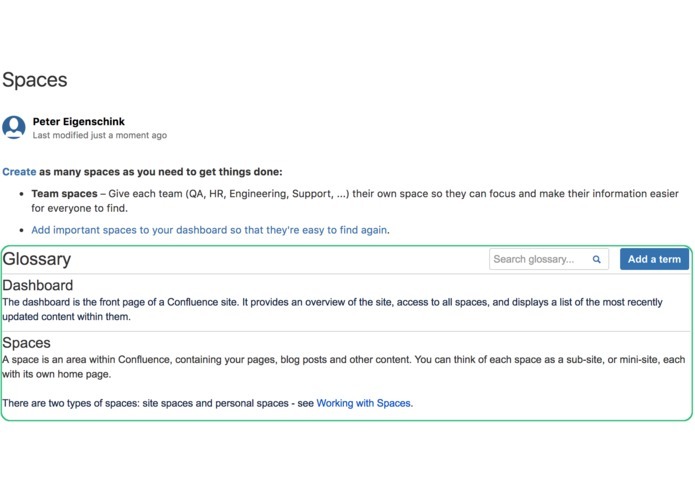 I have been using Confluence for several years now, together with multiple teams. One of the mains reasons for misunderstandings when reading articles has been the ambiguity of technical terms which had not been explained in the page itself. So someone who came from a different context probably had a different definition in his mind, opposite to that the author had intended. A big step forward in solving that problem is a glossary, which contains clear definitions of those terms. For Confluence Cloud there is nothing providing the functionality of glossary yet, so I decided to create an add-on for that purpose. 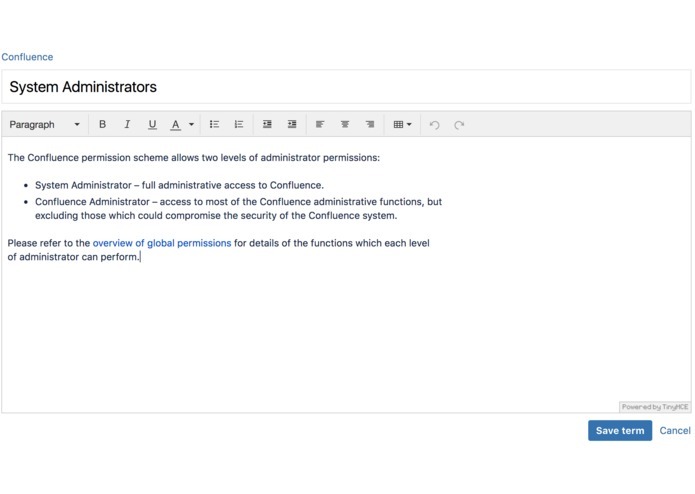 You can manage technical terms in multiple glossaries for different topics attached to spaces. When looking at pages you can look up technical terms in the corresponding page glossary. 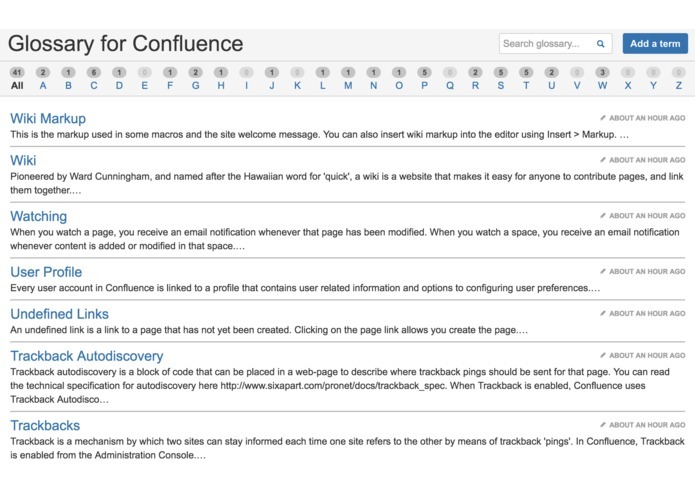 You can search for terms inside one glossary or do a global search in all glossaries just the capabilities of standard Confluence search.